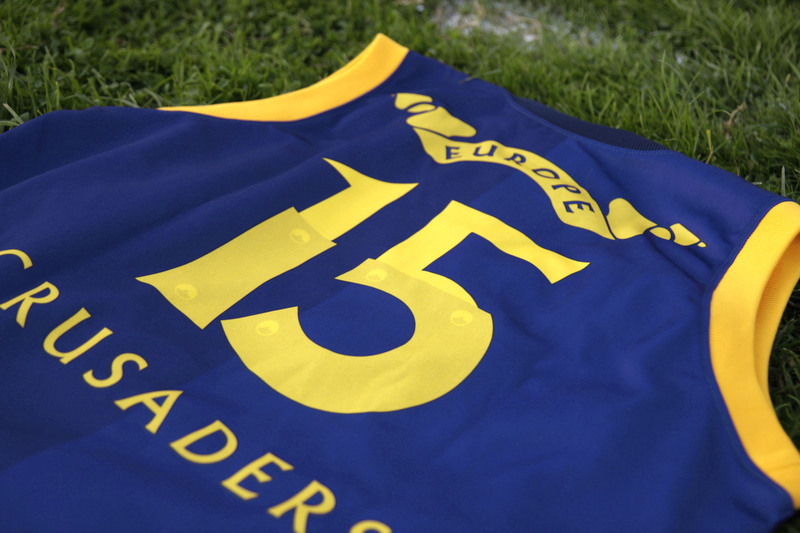 European Crusaders are Aussie Rules Footy team made of players all around Europe. They are French Legion of Aussie Rules. They only play at annual Euro Cups. 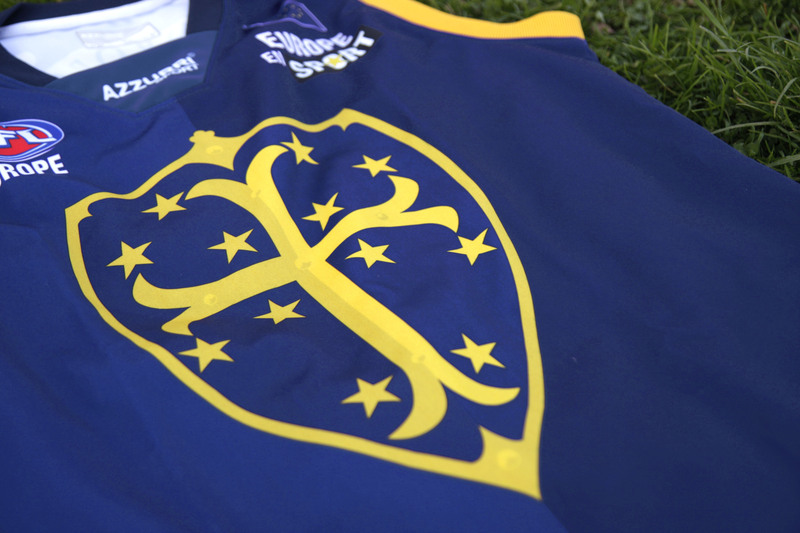 THe idea was to create jumper that looks like an actual ancient Crusaders uniform, only instead of red and white with European blue nad gold.